Most people know Werner Herzog as the cheery, crowd-pleasing director behind classic films like Grizzly Man and Bad Lieutenant: Port Of Call New Orleans, though some probably know him as the old man from that Parks And Recreation episode or as the villain from Jack Reacher who had two thumbs and very little else hand-wise. Either way, he’s one of the most iconic filmmakers in the entire world, and thanks to the online education platform MasterClass, aspiring directors will soon get a chance to learn how to make movies directly from (a streaming video of) him. 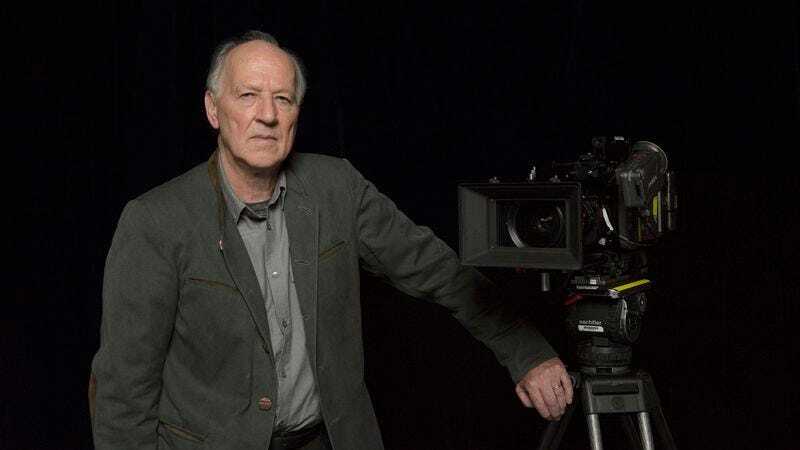 In a press release, Herzog said that his goal is “to be a good soldier of cinema,” and that if he can inspire one or two people out there to also become “a good soldier,” then he will have “done everything” that he set out to accomplish. In that same press release, MasterClass co-founder Aaron Rasmussen said that taking Herzog’s class will “save you from personally having to drag a ship over a mountain in the Amazon, or go to Antarctica in the freezing cold, or save 200 hundred monkeys from being shipped out of Peru,” all while receiving any other valuable lessons that Herzog has picked up in his many years of making films—at least some of which probably focus on why you shouldn’t work with Klaus Kinski.